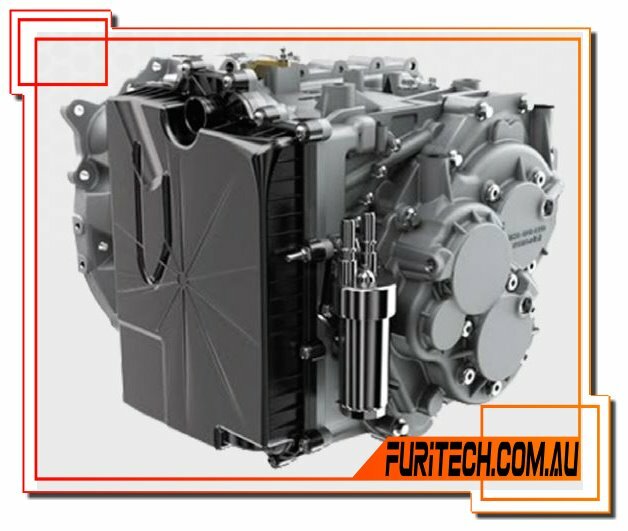 Hello and welcome, Furitech Automotive is an online Information database for the Automatic Transmission Industry. If your looking for information on Automatic Transmissions Furitech is here to help! With the internet now one of the go to places to find information its often the its hard to find or incorrect. 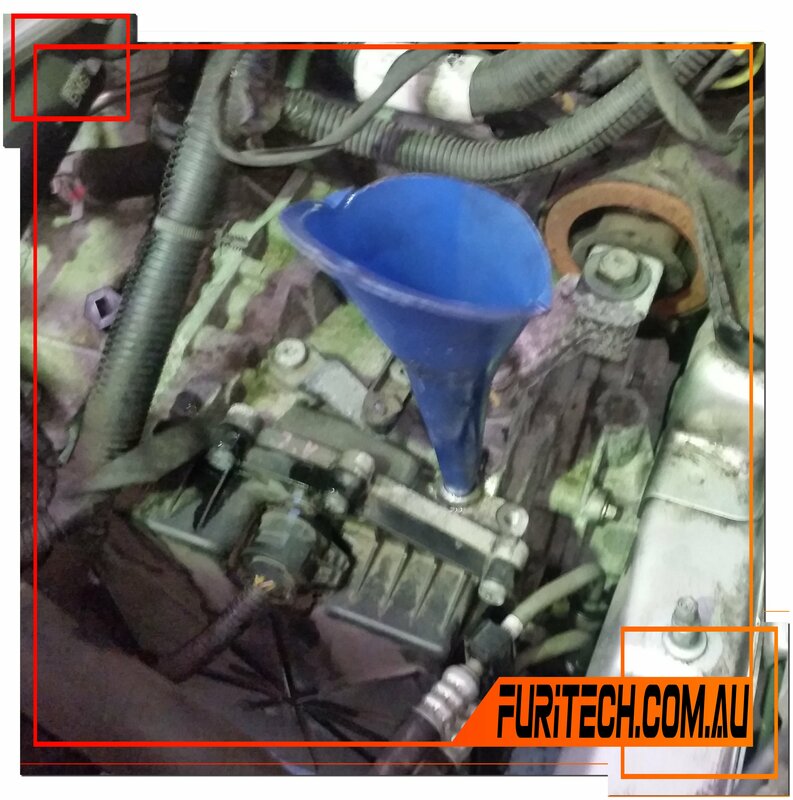 Here at Furitech we only post information we have used to fix vehicles in our shop, we also post this information on the site so we can also search the site easily than opening files or reading manuals. 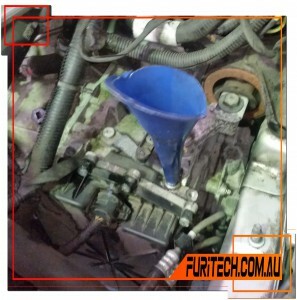 Please also check out our oil chooser page which can be used to find the correct fluid/oil for your vehicle. 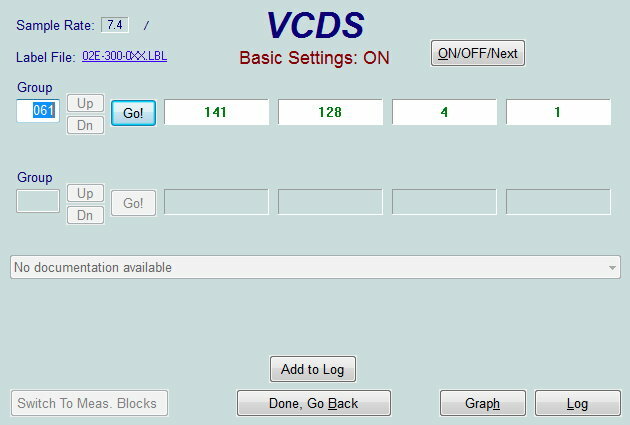 This is great for workshops to be saved as your home page so mechanics can quickly check what is the correct fluid they need for the Differential or Transmission. With 13 different oil manufactures listed if one in Refer to Dealer simply check with another and know you have used the correct fluid. This site is currently free to use and will remain free if our Google Sponsorship allows the site to pay its own way. If your company has a product or service it wishes to promote on this site please contact via email. The DQ250 transmission is commonly referred to as the 02E which is the first three digits of all the transmissions part numbers. The 02E is a transversely oriented front-engine, front-wheel-drive and or Haldex Traction-based four-wheel-drive transmission with 6 gear ratios, dual wet clutch and integrated Mechatronics. The 02E also has a external filter and integrated drain, filler & level check plug and is recommended to be service every 4 years or 60,000kms (which ever occurs first) please see you log book. 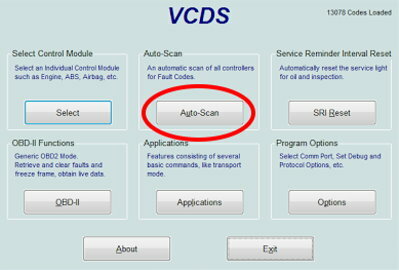 During each DSG transmission service or Mechatronic change over it is recommended to carry out the basic setting procedure in the TCM by using a scan tool, we recommend Ross-Tech VCDS software. 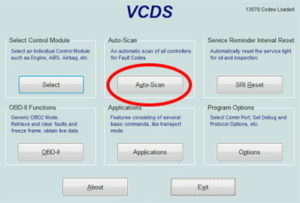 Do a full Auto-Scan on the system and print out your scan report, then clear all codes. Go into 01-Engine and click 10-Adaptation. In channel enter 00 and click Read, accept/agree to the prompt. Then click Done, Go Back. 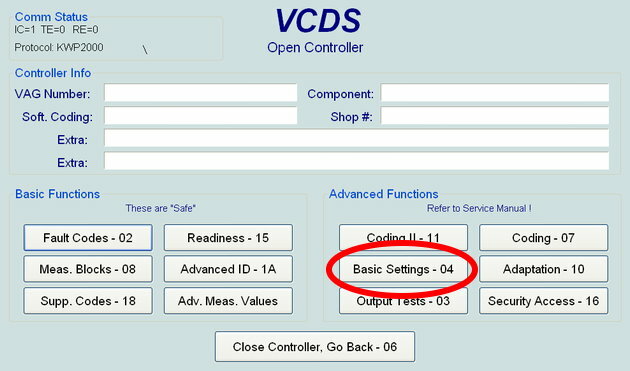 Click 04-Basic Setting in the first group box enter 060 and click Go a successful throttle body sweep learn will show OK! when complete. Next in the same Group box enter 063 and click Go 10 Times should show up in one box hold foot on throttle pedal 100% untill a successful kick down learn will show OK! Fluid lever is Correct and no fluid leaks. Fluid Temperature 30…100 °C (86…210 °F), see Measuring Blocks, Group 019. 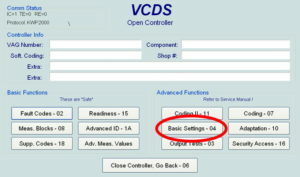 Now click on 02-Auto Trans and click 04-Basic Settings. All the numbers should start to move and the transmission will start making noises, watch the top of the screen when finished should show ON! The the numbers will stop changing and the noises will stop also. This should show ON straight away but still click ON/OFF/NEXT. Some early versions of software dont have group 67 and will require group 062, this is not very common. Preform one last scan of the system. 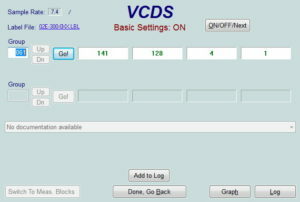 With engine still running you can exit out and close VCDS and turn off your laptop computer, it is recommended to Drive in Tiptronic Mode from stand still up to 6th Gear, 3rd-6th gears need approximately 5 minutes of drive time in each gear. For a good clutch calibration the engine speed window for all gears is 1200 – 3500 RPM. Perform one sharp braking followed by a full throttle acceleration (oil return check) while in Drive, Not Tiptronic Mode. Evaluate creep and starting-off points in both drive and reverse. Keep in mind if the required test drive cannot be performed in the recommended way or the necessary time, any remaining adaptations will be performed automatically during normal driving. Explain to your customer to drive normal and to to try to drive around any issues they may feel. To help lower emissions and reduce fuel economy dual clutch transmission are becoming more popular in today’s vehicles. GETRAG have designed there own line of dual clutch transmission which many different vehicle manufactures use. Chrysler, Ford, Renault & Volvo use the 6DCT line of transmissions in various models and engine types. The question is when and how do you change the dual clutch transmission fluid. Normally manufactures state when to change the fluids, Chrysler’s & Ford’s are normally every 48 months others could be fill for life. Rule of the thumb is to check the level and sight the quality of the fluid and make a decision. This is where the 6DCT transmission becomes interesting, as they have a multi-chamber fluid system. This means there are 3 different chambers that have 3 different levels so checking the level it not as easy as removing a check plug. 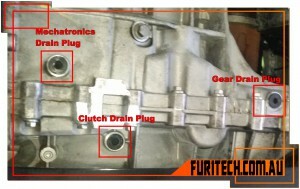 With a multi-chamber fluid system there are 3 different chambers which means 3 different drain plugs. Each chamber needs to be drained, it’s also a good idea to remove the fill plug and the check level plug to allow cross ventilation to allow the fluid to drain faster. The transmission has an external filter which can be changed during fluid change. 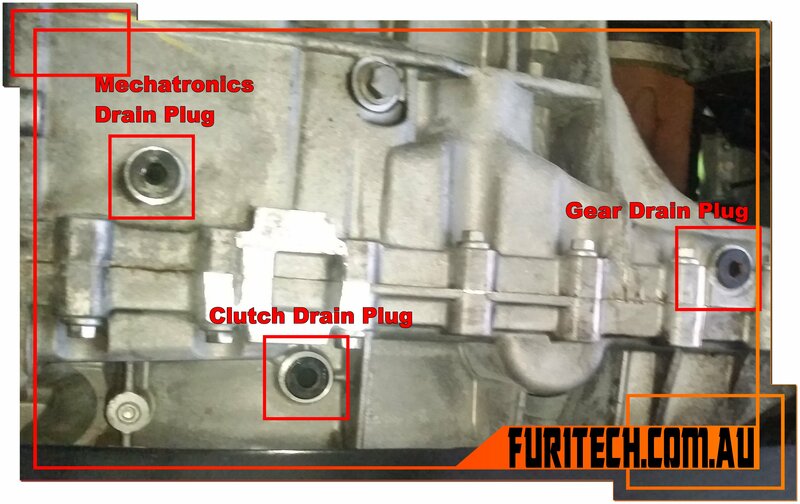 There is also an internal filter however the transmission need to be removed from the vehicle and the transmission to be dismantled. With the 3 drain plugs fitted the transmission can now be filled with the recommend fluid via the filler plug on top of the transmission. 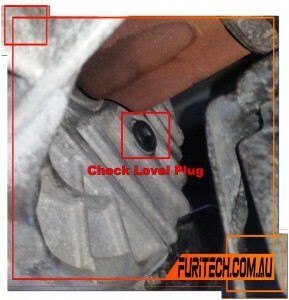 The check plug near the drive shaft should still be removed to allow the fluid to travel through the three chambers. The transmission could take up to 8 litres of fluid including enough to allow for the fluid check procedure. This is where things get interesting and normally when the fluid starts to run out of the check plug the transmission is full. Well due to the multi chamber layout there could be air lock in the system and the fluid will need to be filled and then check measured. First fill the with 5 litres of fluid and check fluid level check plug. If no fluid is seen at the check plug continue to fill in 500ml increments. When fluid is seen running from the check plug start the engine and allow to idle. If fluid stops running continue to fill in 500ml increments. Now to be sure the fluid level is correct and no air locks pour 250ml of fluid into the filler plug. 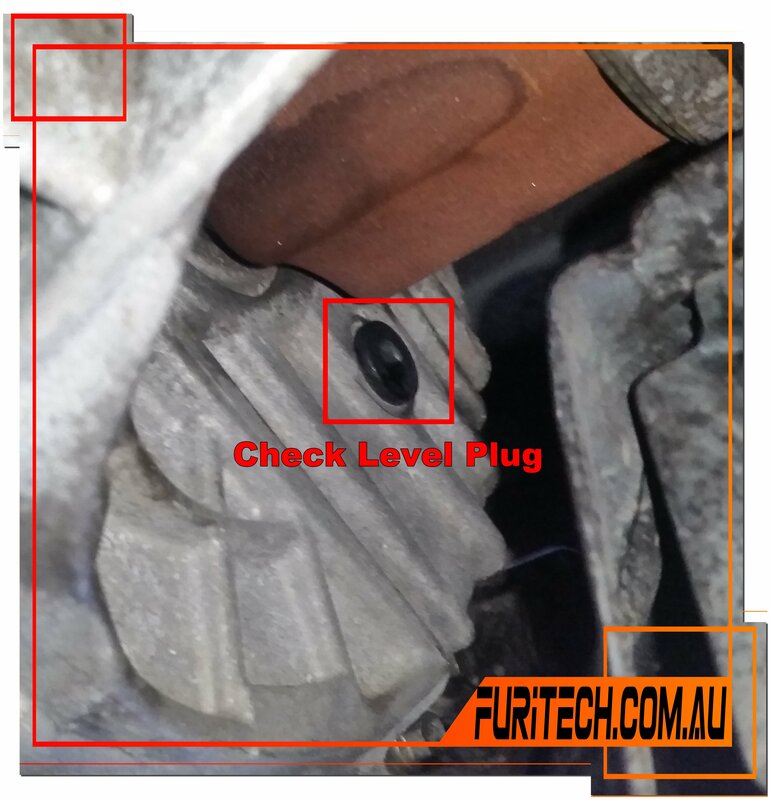 Then catch what ever fluid runs out of the check plug , if correct level you should catch 250ml. if you catch less you need to continue to fill with 250ml increment and catch the fluid untill you catch 250ml only then it is full. Refit check level and filler plugs and road test vehicle. We have carried out this procedure a few time although its sounds like it will take forever its not that bad once you get the hang of it. The best thing it to have more fluid than needed we always make sure we have minimum 8 liters on hand. The correct temp is from 30°c – 45°c the fluid does not get that hot to really worry about it. We have never re checked fluid after a road test as it can give a false reading requiring the check procedure to be done again.